After months spent pining over expensive flights and collecting warm jackets, my dream of travelling north was realized. My mother and I flew up to Yellowknife, North West Territories for Thanksgiving weekend. My mother’s friend from high school works in the Government Division of Aboriginal Affairs and was able to give us a thorough four-day tour across the frost-bitten, fall-coloured, barren land. The North West is in my blood. I’ve always known I was a northern girl, but I was unsure what to expect from Canada’s Great White North. To my surprise, I fell in love with the territories even more than I thought I would. This was my first time up north, and it won’t be my last. As with everywhere, Yellowknife has its struggles. But as you can see through my Facebook album (click here! ), the city itself is quaint, historic, and awfully photogenic. I watched neon green milk splash and drip across the black night sky at the skilled hand of a painter’s stroke in the form of the Aurora Borealis. I stood on the banks of Great Slave Lake as floater planes took off of the ice blue waves and streaked across the empty sky. I folded into the crowd at a community arts project praising Yellowknife’s Art of Giving. I met new people, tried new things, and feasted my senses upon the splendour of the north. Travelling with locals has its perks. From sunrise to sundown, I discovered the best spots in Yellowknife. My four-day tour opened my eyes to the versatility of the north. For the best cup of coffee in town, look no further than the Gourmet Cup. Located in the lower level of Yellowknife’s YK Centre Mall, the Gourmet Cup doesn’t look like much. Home-baked goods, skillfully steamed milk, flavoured espresso beans, and a variety of loose leaf tea make up for the bland, aesthetically unpleasing environment. Make sure to sign the guestbook at the Visitors Centre to receive your free Yellowknife pin. My mom and I did it twice, because we are horrible people, and love free souvenirs. For more free goodies, head to the legislature for weekday tours at 10:30am. The tour guide is extremely informative and ridiculously attractive (but you didn’t hear it from me). 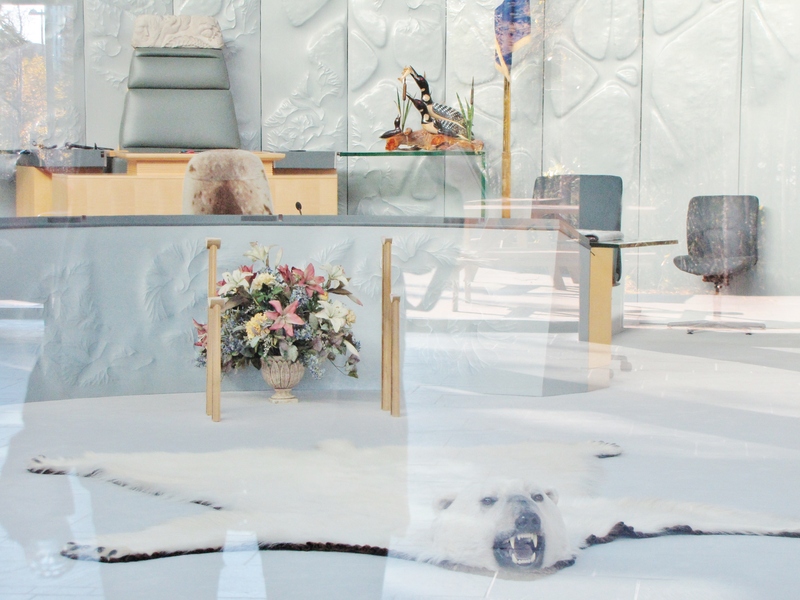 If you’re visiting on the weekend, pop by and take a peak into the Chambers—the frosty white walls and polar bear rug give the awe-inspiring impression of an ice palace. The nearby museum offers a stunning view across the lake, as well as a few exhibits I had far too much fun exploring. 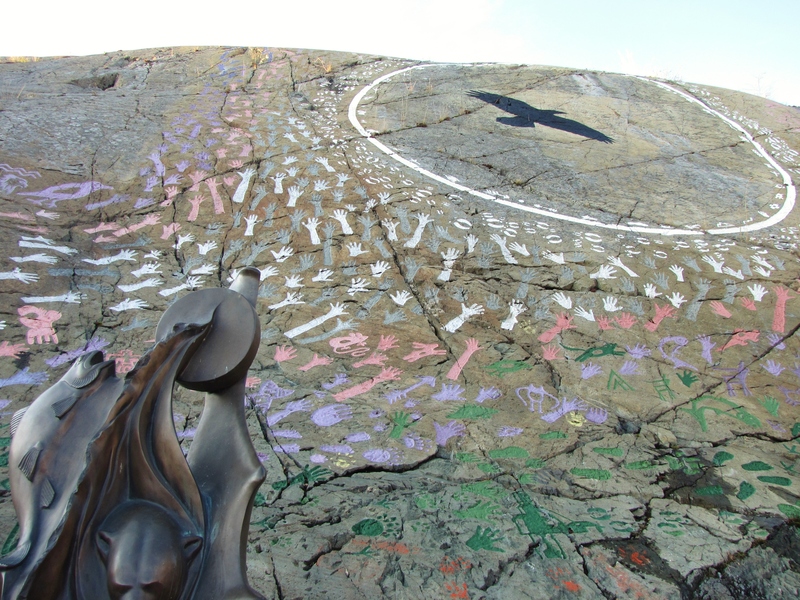 Yellowknife surprised me with a mass of readily available art and music. I purchased a pair of Manitobah Mukluks at the Gallery of the Midnight Sun. I haven’t taken them off since. Next door, the Down to Earth Gallery displays and sells local art and jewelry. 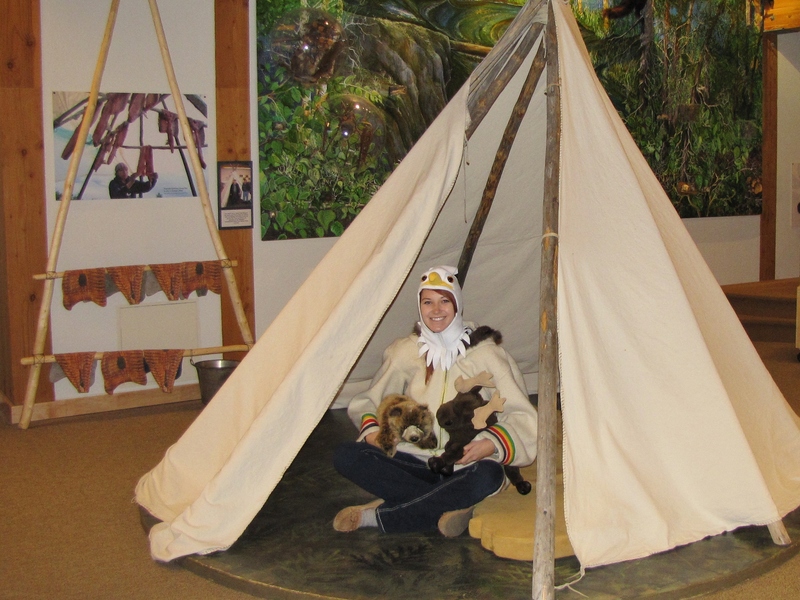 Across the street, a dark grey cliff face covered in purple and white prints carries a wooden teepee balancing atop a carved image of an immaculate eagle. All of these fantastic photo-ops were found in Old Town, which also contains peeling log cabins, staggering cliffs, narrow boat launches, colourful houseboats, and the picturesque Pilot’s Monument. Weekends in Yellowknife offer an abundance of activity. After a full, gluttonous meal of pub food at the brand-new establishment The Cellar, I met new friends at Javaroma on Main Street for hot chocolate and amateur music at their Saturday Open Mike Night. We continued on to the Black Knight, a quaint, lively, crowded Irish pub boasting live East Coast country music. My friends and I—even my mother—drank pints at the bar and danced a jig. I was transported back to Scotland when a drunken Irish boy started speaking to me in slurs. I couldn’t understand a word he said. 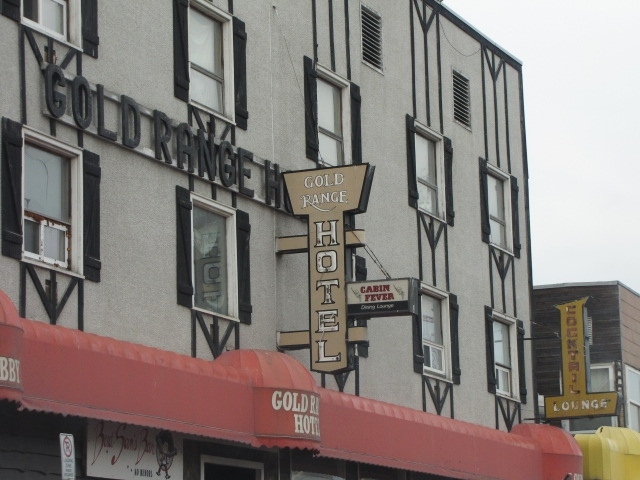 As the evening progressed, we moved on to the Gold Range, commonly known as “The Strange Range” and the local Aboriginal hangout. A live band catered to the crowd, switching from country to Top 40 and calling the crowd out onto the dance floor. The same band (Welder’s Daughter) plays every night. On the holiday Monday, my friends and I drove out to Prelude Lake. We were warmly welcomed into my friend’s wooden cabin, heated by a log burning stove and the intrusion of our tightly snuggled bodies. Layers of polyester kept our skin safe from the howling wind—the first, and only, spell of bad weather we experienced in the NWT. We bore the drizzling rain and hiked up to Cameron Falls. My friends had informed me “there are boardwalks, stairs, and a bridge” but had failed to mention the miles of slippery, slopping rocks we would have to skillfully trespass. Luckily, my Mukluks did me proud. 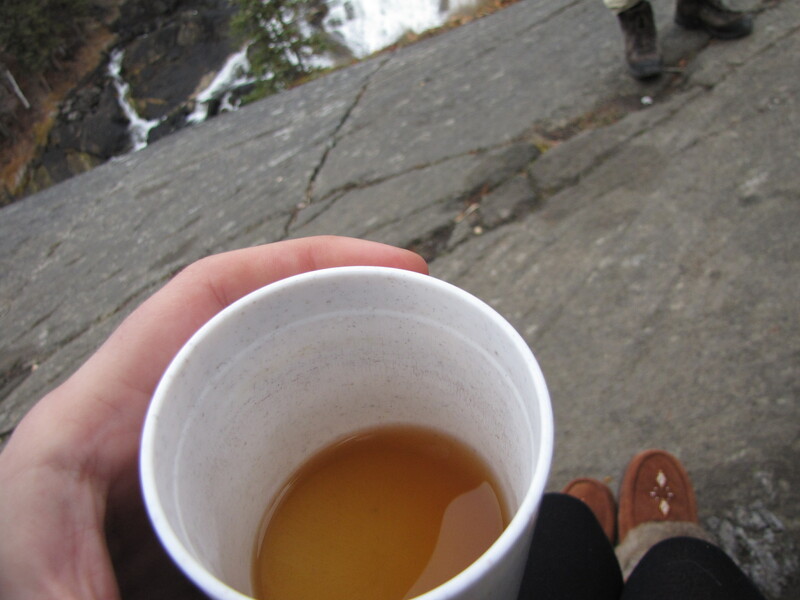 At the summit, the five of us enjoyed a picnic of hot apple cider, lemon poppy seed loaf, and Lindor chocolates. We shared our treats with nature in a display of appreciation, letting the Whiskey Jacks steal our food as we gazed over the rushing white water of Cameron falls. The snowy stream was sharply contrasted by the protruding black rock it ran over. We escaped the nippy weather in the berth of the log cabin, surrounded by food, friends, and family. Community and nature at peace. I expected to spend my four days in Yellowknife locked indoors doing homework. To my surprise and delight, the call of the wild north forced me to put down my laptop, get outside, and explore. Have you ever travelled to Yellowknife? What was your experience? Leave your comments below, and as always, happy travels! 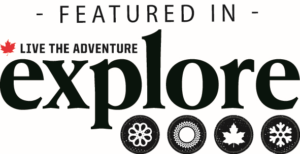 Sounds like a wonderful time in Yellowknife! Thanks for sharing your experiences and tips. While I’m quite disappointed that you didn’t win the trip to Dawson City, I am thrilled that you and your mom were able to go to Yellowknife. I love the north and, while I’ve road tripped all over Yukon and NWT, Yellowknife is one of the places I could see myself living. Love it there! Thank you so much Shari! That’s very sweet, and though I was disappointed as well, everyone’s support was greatly appreciated. Take care.